Prizing and samples for this Handmade for the Holidays post provided by Klutz. With the holidays on their way, it’s time to start thinking about what gifts you’ll give everyone on your list. This year, why not make it a handmade holiday? Even if you plan to buy gifts, handmade presents not only save money, but they also come from the heart. They’re also a perfect way to let your kids make a little something for grandparents, aunts and friends. 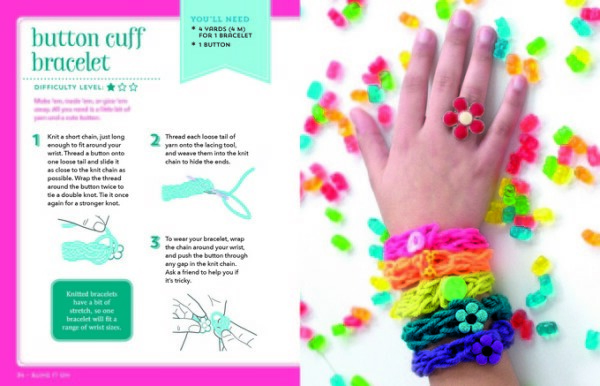 Klutz books make it easy to create handmade gifts for the holidays. I received a great selection of books to help me get crafty. I know what you’re thinking “You? Crafty?” Yep! Even I can make stuff with help from Klutz! Don’t believe me? 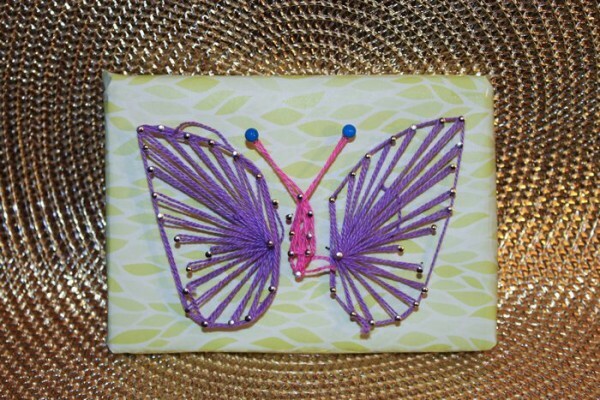 Check out my butterfly string art! Um, don’t look too close though, I didn’t realize that I didn’t trim the string close enough. Hey, it was my first attempt! I think it came out pretty good!! The materials and directions for this little Van Gogh came from the Klutz String Art Activity Kit, one of my favorites from the Handmade for the Holidays selection. 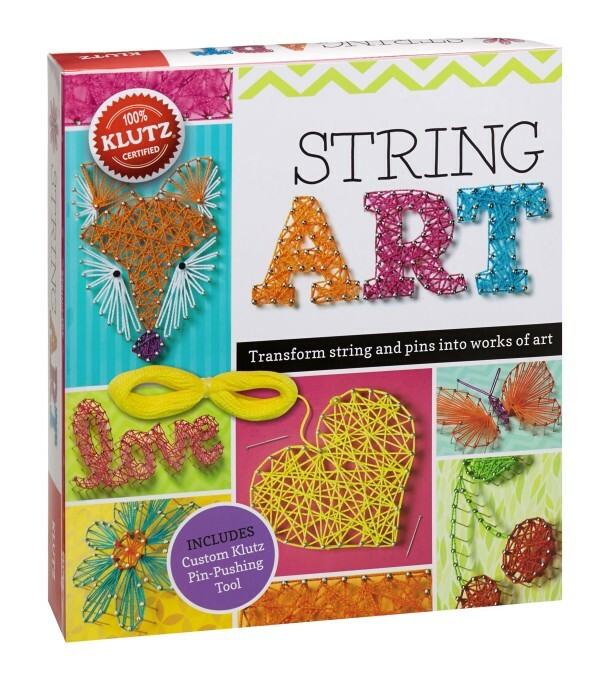 The String Art kit comes with thick cardboard pieces, colorful background papers, tracing paper, plenty of string, pins and a special custom Klutz pin-pushing tool, along with directions on how to make 20 different projects. The butterfly uses the “fan” method of stringing, and it was easier than I thought it would be! Next on my project to-do list is something from the Pop Collage book. This one looks like so much fun! I used to love making collages when I was younger. This book & kit has everything you need to make 10 cool projects, like paper bowls, a bookmark, an accessory tray, a frame and more. They have a really cool owl project that I’m planning to make! Jacob will make the frame for his Grams. Add a picture of him and it’s the perfect gift. I’ve always wanted to learn how to knit, but I just can’t figure out knitting needles. As soon as I can escape the kitten, I’ll try out the Finger Knitting activities! She steals string like crazy. I had to do my butterfly string art when she was zonked out in another room! I’ll invite Sal’s daughter over and see if she wants to try it out with me. These look like they would be fun to make together! I love that the projects range from easy to more complex, from bracelets to scarves and hats. This book really has something for all skill levels. Remember the plastic shrinky things we had when we were little? Klutz took them to whole new levels and made them way more stylish with their Shrink & Link Jewelry kit. It’s only book that lets you make reusable, transferable, 3-D pendants and attach them to a ring or necklace. Create brilliant shrink art charms from over 50 traceable designs – and then mix and match them for limitless fun! Looking for more creative ways to make your own jewelry? Check out Make Glitter Clay Charms! Follow the instructions for 35 new charm designs to create itty-bitty glittery charms. Each project starts with a few basic shapes and easy-to-mold clay. Sculpt mini food, tiny aliens, pocket-sized unicorns, so much more. Then pop them in the oven to set. Add the special glaze, top with glitter and attach to the bracelet that’s included! Even if you just get one of these books, you’ll be well on your way to a handmade holiday. Grab all of them and your whole family will be crafting gifts for everyone! 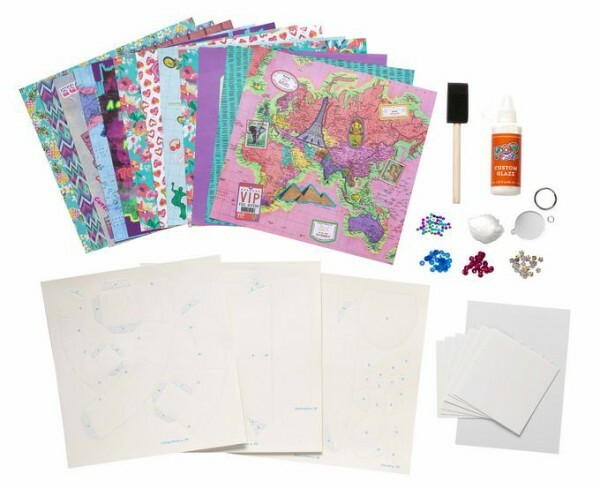 Visit KLUTZ.com to learn more about these books and other great activity kits. These books all also make fabulous gifts for anyone who loves crafting! Follow KLUTZ on Twitter, Facebook, and Instagram to keep up with news and see more project inspiration. Giveaway is open to US residents age 18+ and ends on November 25th. Good luck! I’m most looking forward to trying out Finger Knitting. Those sound like fun books. I am sure my nieces would have a blast with those. We love arts & crafts in our house. These look like great gift ideas. The Finger Knitting kit would be the first one my daughter would try. My stepdaughter would probably try the string art first 🙂 . These are really cool! I’d love to try out the Pop Collage book with my daughter. These craft kits look so much fun for the kids. I am most looking forward to the String art craft kit. this looks like fun. My 8 year old niece would love this!!! I think my niece would love the glitter clay book. I would love to try the string art with my kids! Looks like fun. It’s been ages since I last did a string art project. I would love to do this again. All these are great Christmas gift ideas! WOW! These are too cool! The Pop Collage looks like so much fun! Going to check them out – thanks! I think the finger knitting kit will be fun. I love the finger knitting set! I loved doing arts & crafts when I was a kid! I think my niece might like these sets. I think my daughter would really like the string craft kit. Omg so many fun crafts!!! I’m a total crafter song can’t wait for the day my 3 year old van do things like these. 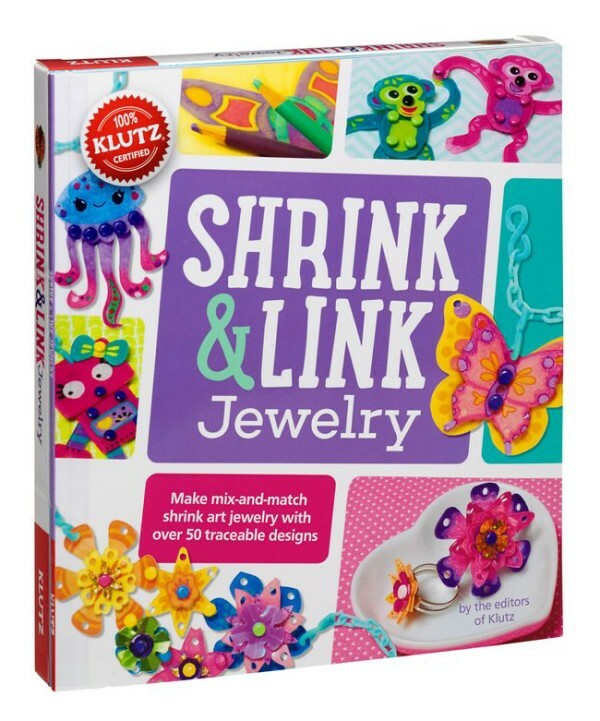 My daughter would love the Shrink & Link Jewelry kit the most. I am most looking forward to trying the string art. That is something my kids would love to do. My daughter would like the finger knitting. These craft kits are so pretty but I am more interested with the string art! This would make a very nice gift to my nieces. What a fun list! These art kits are so lovely, I want one for myself! Eyeing on that pretty string art kit. I would buy these just so I could do them alongside the kids. Is that wrong? They just look like too much fun! Thanks so much for the chance to win. I’ve seen their brand of books and they are right up my daughter’s alley at her age. 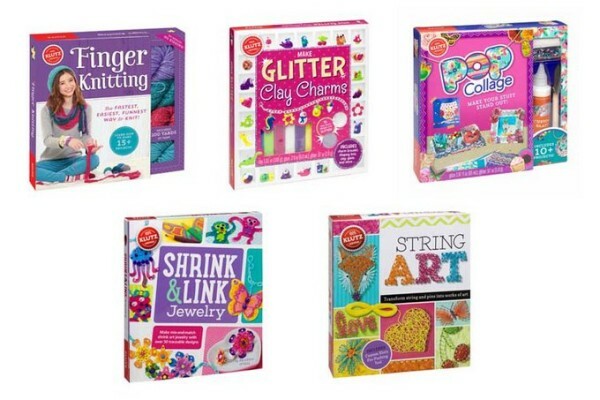 She is really into arts and crafts and we’d love to try some of the girly craft books. The Shrink and Link Jewelry would be fun to do with my daughter. My daughter would love the Shrink & Link Jewelry the most! Im excited to try out the Shrink & link Jewelry set! The String Art kit looks super cool! 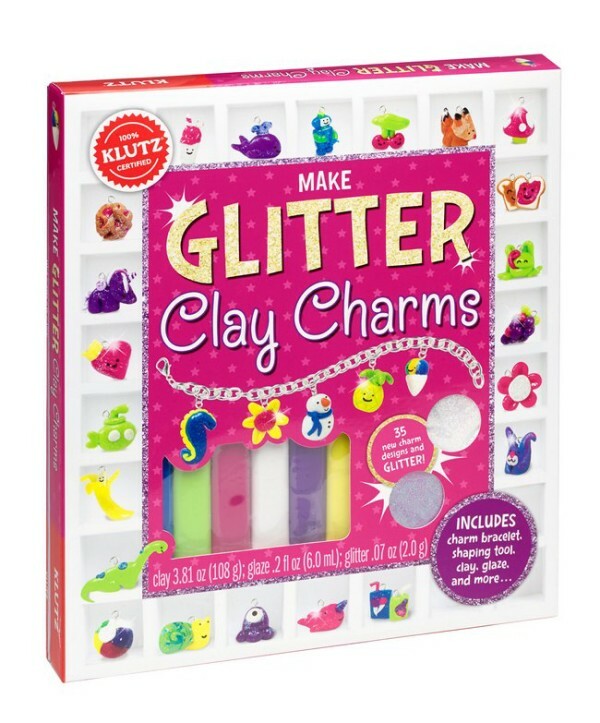 I think they all look fun, but my daughter would love the Glitter Clay Charm! 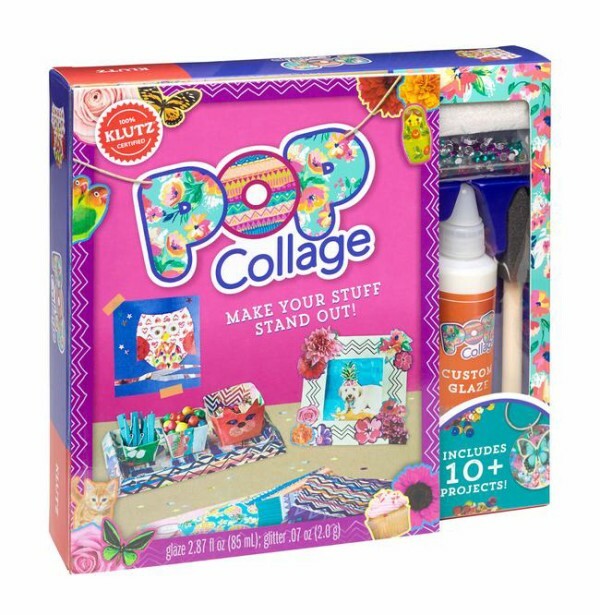 My daughter’s birthday is coming up and she would love all of these kits but I think she would enjoy Pop Collage the most! Thanks for the chance!! The Finger Knitting looks like fun and something I could do with dd! I think the String Art book would be a lot of fun to try out – the fox on the cover has caught my eye. I think she would really like the string art kit the best and would hang her creations up. The Pop Collage looks like a lot of fun to do with my daughters. Thanks so very much for hosting this giveaway! The Shrink and Link jewelry would be a great hit @ my house! I like the string art kit. I am excited about the finger knitting kit. 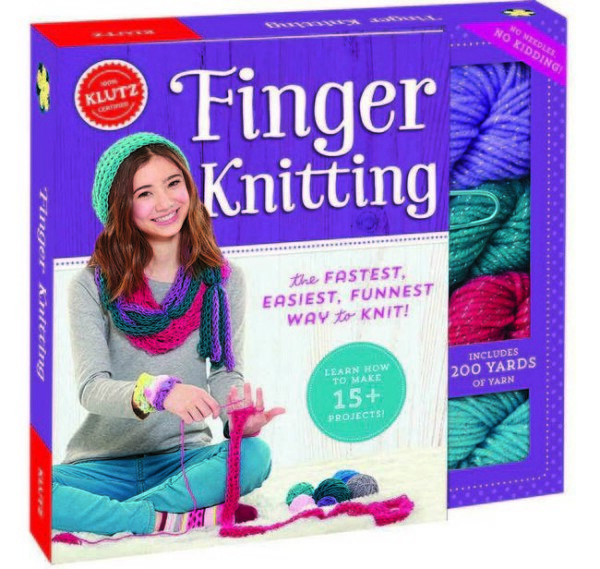 I think my daughter and I would have fun with the finger knitting kit from Klutz. I loved Shrinky Dinks as a kid I am looking forward to doing these with my daughter! She will love all of them !! These are great looking….I am not a very crafty guy so I have a hard time nurturing her crafty side but looks like we can do these together! Thanks for the detailed review! Hoping to win….but I am going to look for these kits now too! I’m not a crafty mom myself. I try, but I don’t have the Martha gene! These books really do make it easier! Plus, it’s the fun in trying to make crafts that really counts! I would love to try the string art. My granddaughter would love the string art kit. Looking forward to the Make Glitter Clay Charms. I am most looking forward to the Finger Knitting. I’m most excited about trying the String Art.